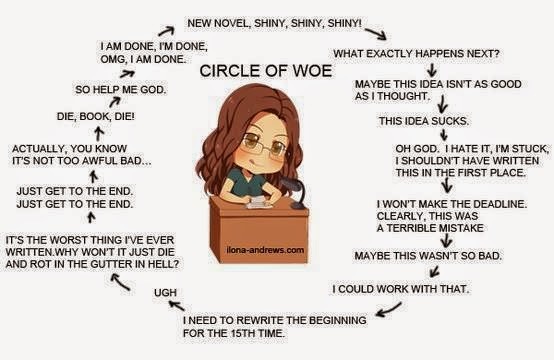 This graphic just about sums up the kinds of feelings I have after having jumped into November's National Novel Writing Month. I didn't make the 50,000 word goal, so I didn't finish this marathon, but I did learn about writing and storytelling. At TEDxSanAntonio, Emmy-nominated screenwriter Sarah-Jane explained how to think about why insanely great storytelling matters and why it’s the key to our future. The video explores what makes a great idea and how Pixar gets to the essence of their stories. Written by Dean Movshovitz Based on the 22 rules of storytelling by Emma Coats.